We have a passion for overseas missions and have worked in cross cultural missions, full time and on short term mission trips, for over a decade. Starting when John served in a children’s orphanage 2002 and Rachel worked with Elim in Honduras during the Spring of 2005. After getting married in 2006, we settled in Carlisle, UK. John worked with vulnerable, hard to reach young people, while Rachel was employed as youth worker for our home church (Elim – Carlisle, UK). Our experiences of overseas missions had given us a real passion to return and work in South America. Our first joint involvement with Elim International Missions was with a children’s home, that is supported via Elim, in the south of Paraguay. 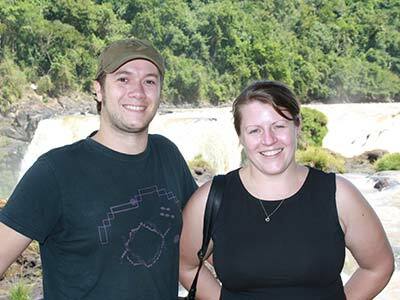 We first visited ‘Che Roga’ in the winter of 2007 and again in the summer of 2008, looking deeper into the possibility of moving to Paraguay on a full-time basis. 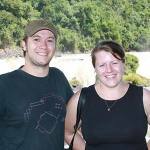 After completing the Elim Missions Training Course, we moved to live in Paraguay in the Spring of 2009. During our time in Paraguay we were asked to help facilitate in Elim in Honduras. So in the Spring of 2010 we moved to Tegucigalpa and served with Elim ‘El Oasis’ for the next two and a bit years, helping train and equip the Honduran leadership. In September 2012 we moved back to Paraguay, where we feel God has called us to a long-term vision of taking the Gospel, growing disciples and working with young people to reach out further into Paraguay. For more detailed and up to date information, please check out our latest newsletters and photos in our gallery.